Fleur's Exfoliating Cleansing Gel removes makeup, impurities and excess sebum while unclogging pores and purifying and cleaning the skin. 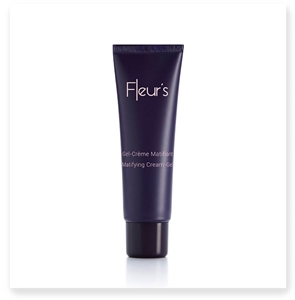 Fleur's Matifying Cream-Gel is a lightweight gel with an instant anti-shine effect as well as providing an ultra-matte finish and moisture from the first application. Fleur's Pure Balance Fluid is a lightweight fluid that deposits a true veil of purity on the skin and optimizes skin balance.